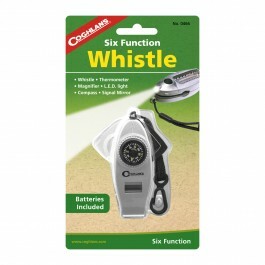 Buy Six Function Whistle , from Coghlan's Ltd for $9.99 only in My e-commerce. 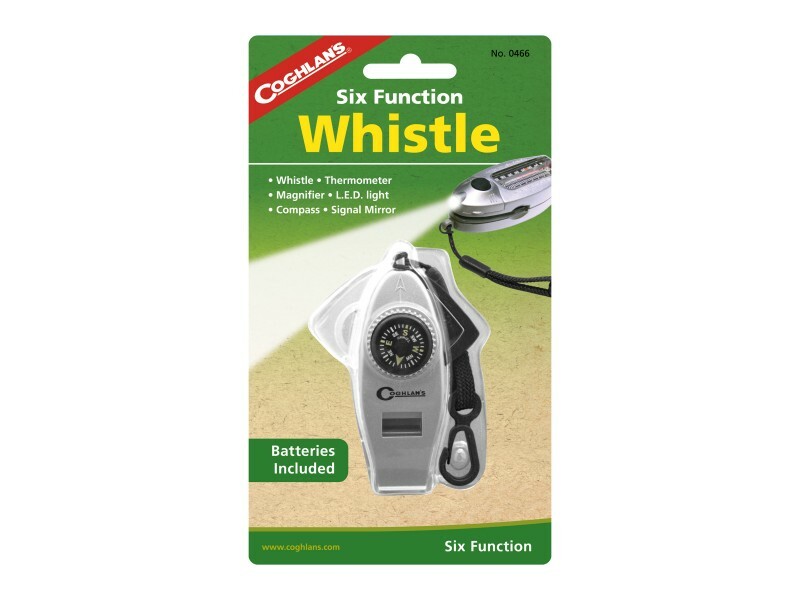 Six Function Whistle Includes LED light, compass, magnifier, thermometer, signal mirror and whistle along with convenient lanyard and clip. Batteries included.